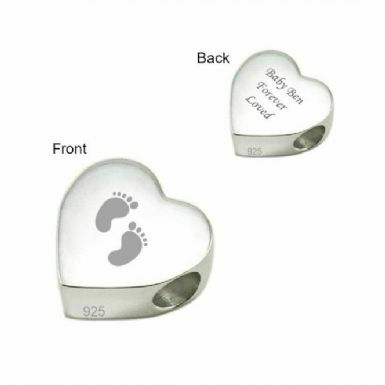 Heart Shaped Bead, Memorial Charm in Sterling Silver for Baby Loss. 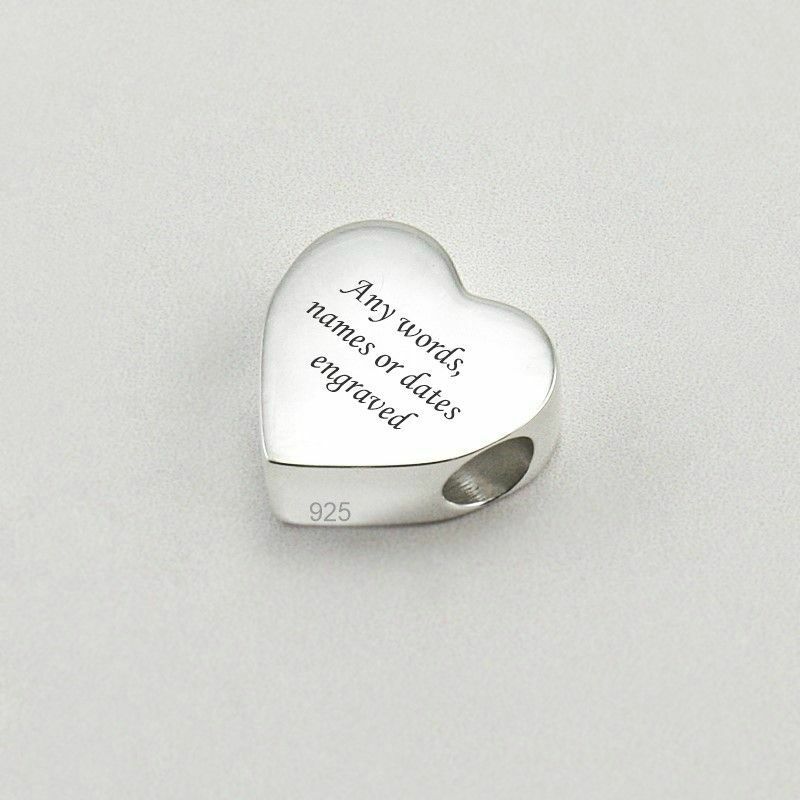 Personalise this lovely charm bead with the engraving of any words, names or dates of your choice. The front is ready engraved with the baby feet as shown. 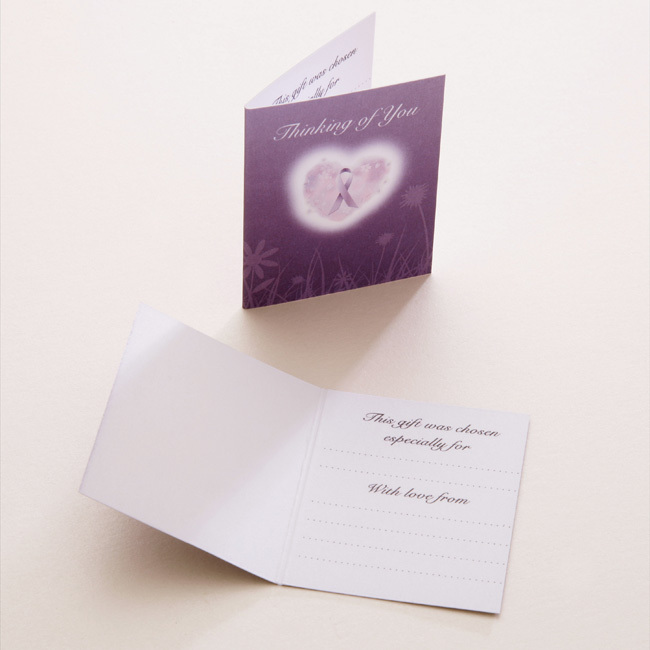 Personalised engraving is all included in the price. 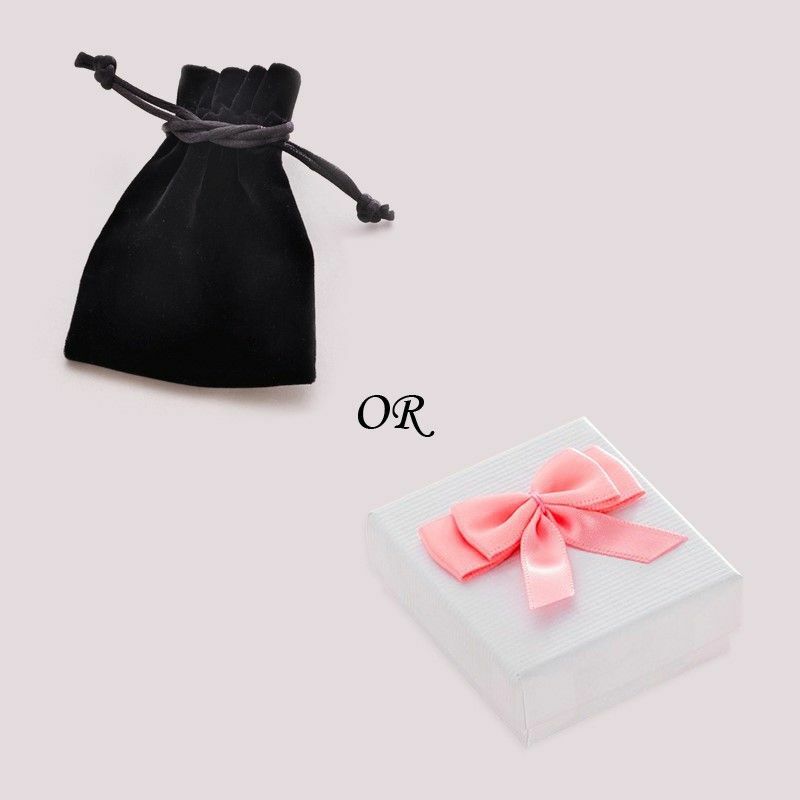 The hole through the centre of the bead is 5.5 mm in diameter so this bead is suitable for most Pandora style and European snake chain jewellery.